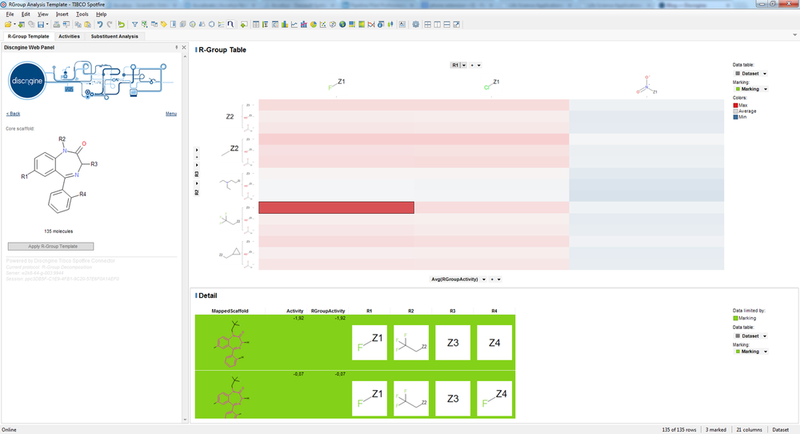 The integration of TIBCO Spotfire® and BIOVIA Pipeline Pilot® allows the creation of workflow based applications which combine advanced data access and manipulation with powerful interactive visualizations. 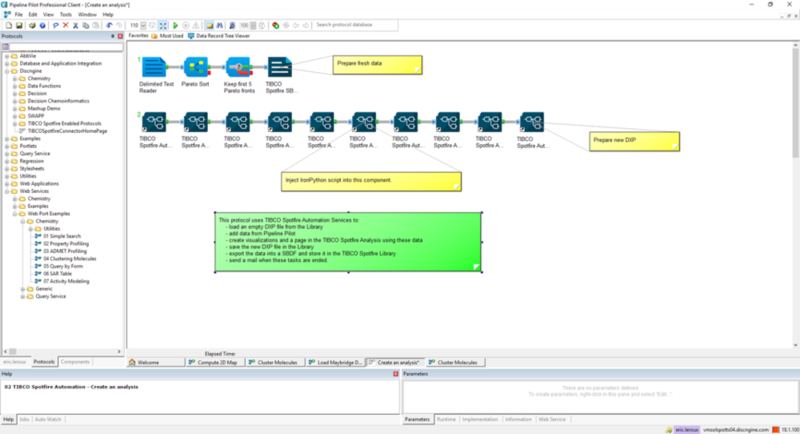 The Discngine TIBCO Spotfire Connector is a component collection for Pipeline Pilot designed to greatly facilitate this integration. What's new in 5.0 (April 2019 release)? 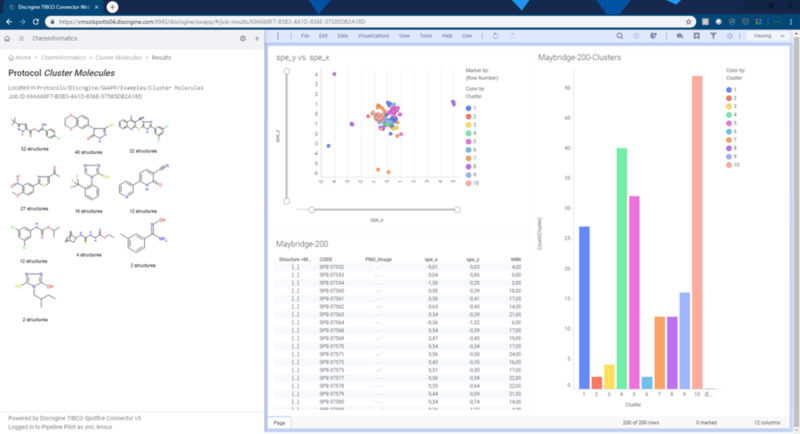 Programmatically interact with the Spotfire API in both Analyst and Web Player clients. Let you create guides for end-users, expose advanced forms, integrate third party software. Thank you for your interest in Discngine Connector! Thank you for your interest in the Connector.